Red, ripe strawberries are one of my favorite fruits. They are so sweet and delicious that no wonder they are kind of considered the Valentine’s fruit. So I find it surprising that my 6 year old has a hard time eating a plain fresh strawberry. She is sensitive to textures and strawberries can have an interesting texture. She will eat strawberries in different forms though! 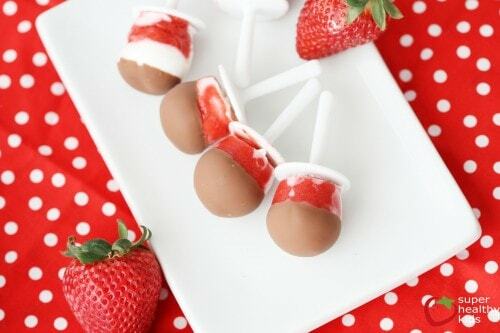 These strawberries and cream choco pops are just 3 ingredients: strawberries, plain Greek yogurt and chocolate. 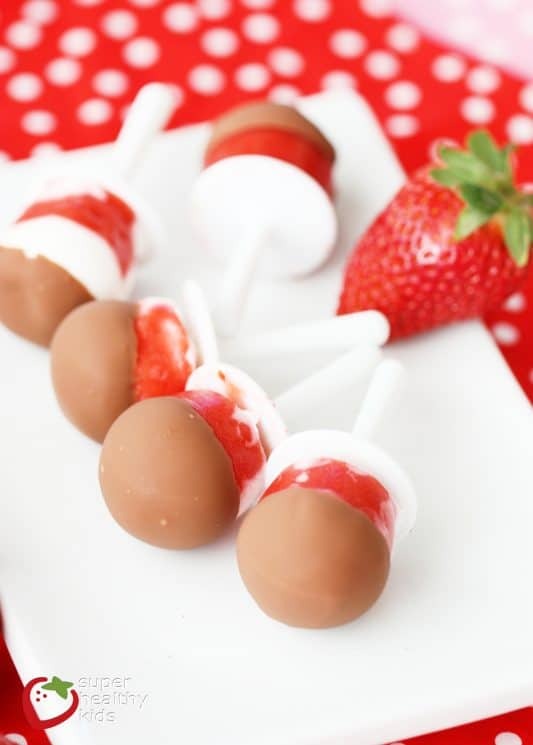 They were a big winner at our house and because you can make them with fresh or frozen strawberries, they can be made any time of year! The first step is to blend your strawberries. If you are using frozen strawberries, you may want to thaw them just until they are a little bit soft for easier blending. No water is needed – just blend until super smooth. Pour into your popsicle molds, layering with Greek yogurt. We love this tiny Zoku mini pop mold because it makes the perfect size for a toddler. With this recipe, it is even great for an adult or a bigger kid if you are wanting something sweet, but not too much! Freeze your pops until solid. This usually takes a few hours depending on your mold and the size of the popsicles. After they are frozen, melt your chocolate pieces. I like to add just a teaspoon or so of coconut oil to my chocolate to make it more smooth and creamy. 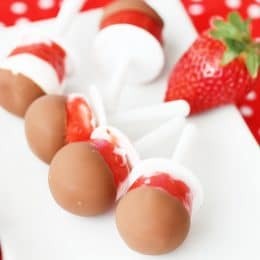 Dip your popsicles into the chocolate and hold upright for about 10 seconds until the chocolate hardens. You can serve these immediately, or put them back in the freezer to eat later. We love the fresh taste of the strawberries, creaminess of the yogurt combined with the decadent chocolate. SO yummy. 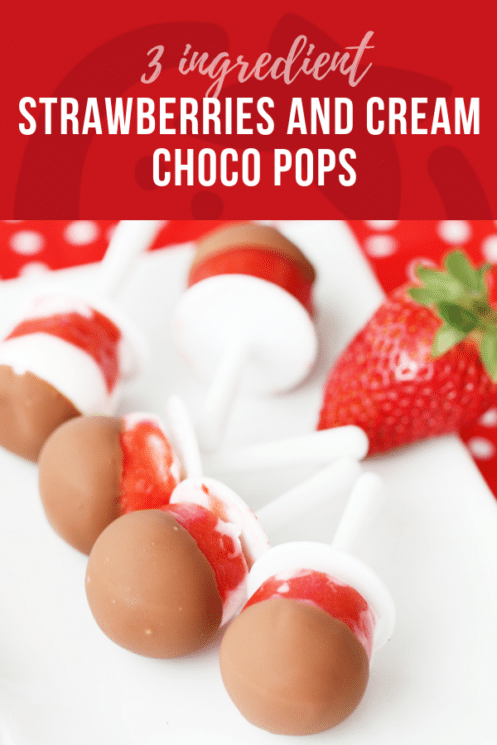 These are a versatile treat – you can serve them on Valentines or even on a hot summer afternoon. Enjoy! 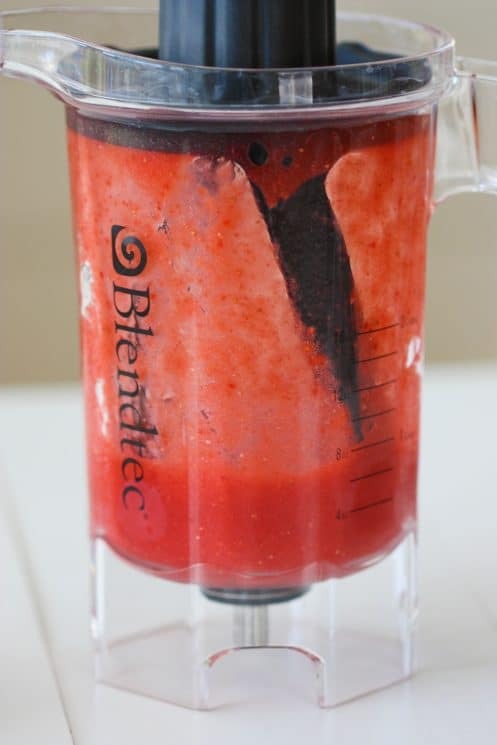 Blend strawberries until smooth. If using frozen strawberries, thaw for a few minutes until softened. 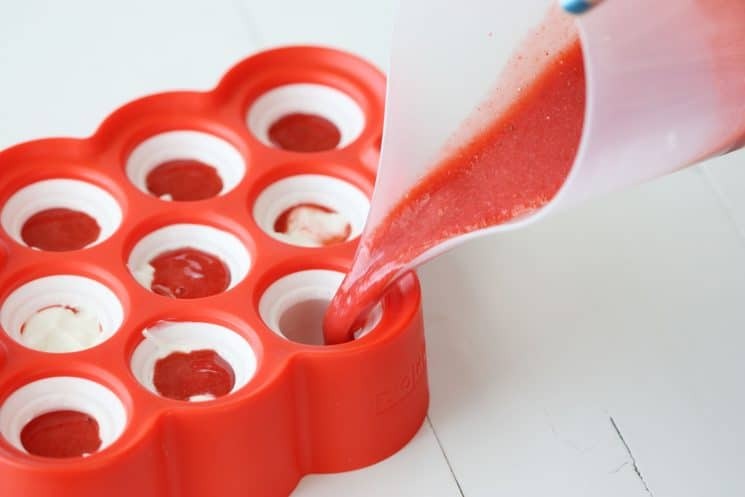 Pour strawberry mixture into popsicle mold, layering with Greek yogurt. Melt chocolate pieces. 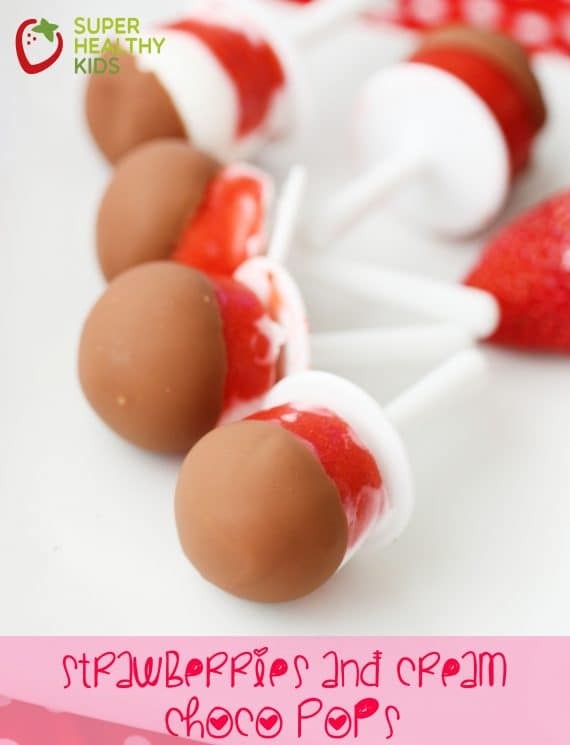 Dip popsicles into chocolate. Enjoy!